Porsche’s background is very strongly rooted in motorsport. But while cars like the 959 and GT1 were constrained by their 911 heritage, no such parameters hindered the evolution of the Carrera GT, which was as blue sky a road going supercar project as any design team could wish for. 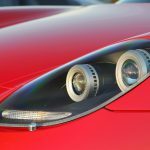 That said, Porsche has never denied that the Carrera GT concept was derived from the ‘what might have been’ idea for a new Le Mans challenger whose budget was channelled into the commercially astute Cayenne project instead. 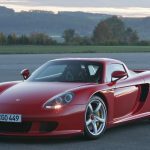 In 2003, Porsche boss, Wendelin Wiedeking announced that Porsche required at least 1,000 firm orders for the Carrera GT to be a credible business case. 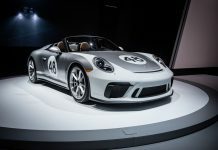 That number was quickly exceeded, and Porsche planned for a total production run of 1,500 cars. 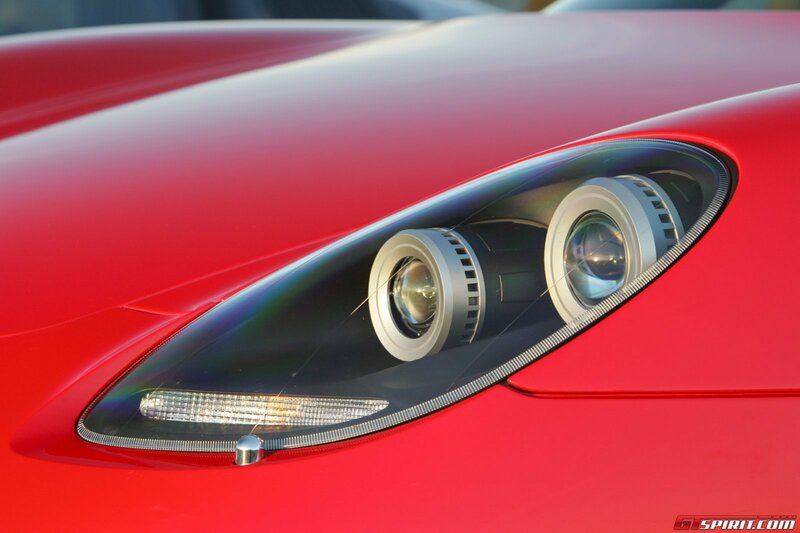 Eventually, 1,200 cars were delivered and Porsche ended the production run in 2007 in profit, and with a great image enhancing flagship model. One area where the Carrera GT scores heavily against almost every other contemporary supercar, barring the Pagani Zonda, is in the perfect execution of its detail design and build quality. When I attended the pre-drive technical briefing at Weissach in May 2003, I commented that many of the superbly finished suspension components and lightweight magnesium castings would make fabulous desk ornaments. Even the centre lock wheel spinners, blue for the right wheels and red for the left ones, are a talking point. I also opined that the finished chassis was so spectacularly well detailed and finished, it was a shame to hide it, and that Porsche should offer a spare chassis for Carrera GT owners to admire and show off! 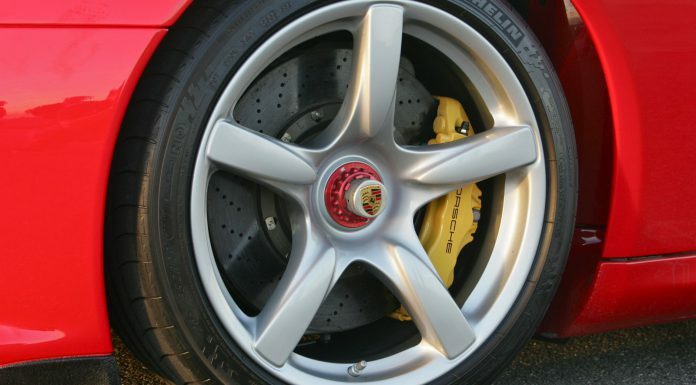 If the Carrera GT has one foible it is its super-lightweight ceramic clutch. 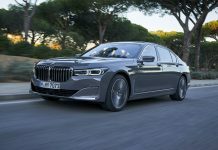 Latterly this was improved, but it has not endeared itself to owners who are not always dyed-in-the-wool enthusiast drivers living near open roads. 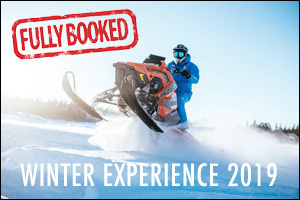 Personally, I don’t find the clutch a big problem. You just have to remember to let the short travel clutch in gently to get the car rolling before you ease in the throttle. Once you are moving there are no more issues at all. That clutch is a problem if you live in a city, but frankly I find all supercar to be more trouble than they are worth in an urban environment, due to their width, lack of visibility and the sheer frustration of not being able to open them up. 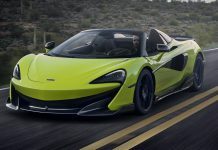 It is no wonder that the latest crop of supercars has dual clutch gearboxes with paddle shifters! 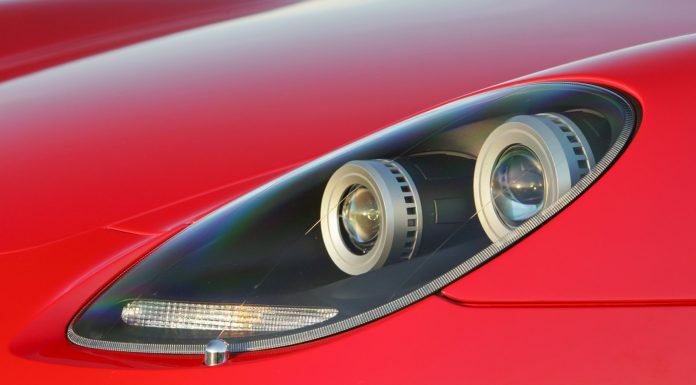 The counterpoint is being in the drivers’ seat of a Carrera GT with the open road beckoning. Climb on board and you will be pleased to find that the seat and steering wheel have more than enough adjustment. Six foot five Walter Rohrl can find a comfortable driving position in this car, so almost anyone else will be hard pressed not to. There are no pretentious separate start buttons or aircraft style flick switches here. 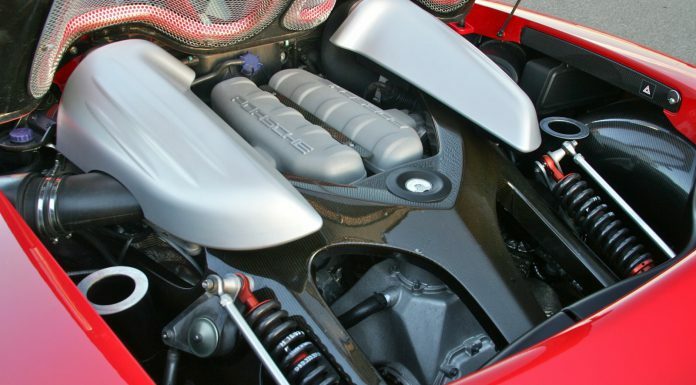 Just turn the key in the ignition and the 5.7 litre V10 fires up with a yelp that promises a completely different driving experience from that of any road-going Porsche that has gone before. 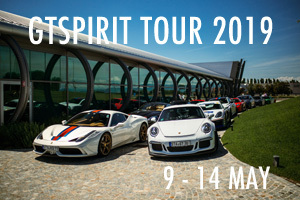 With 612bhp at 8,000rpm and 590Nm of torque peaking at 5,750rpm, the 1,380kg GT blasts through the benchmark 100km/h time in 3.9 sec, takes just 6.9 sec to reach 160km/h from rest and a further 3.0 seconds to pass 200km/h on its way to its 330km/h top speed. 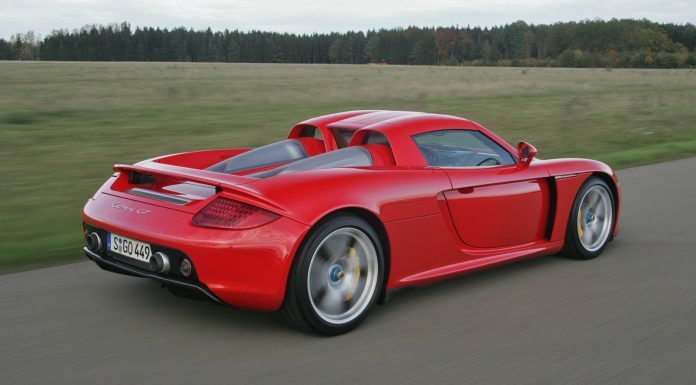 Like all major league supercars, the Carrera GT carves a big hole through the air. 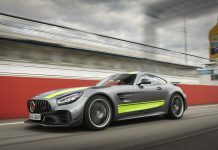 The huge air intakes that feed the radiators and brakes, and the aerodynamic aids that help to keep the car from aviating, also deny it a slippery drag coefficient. Porsche quote a Cd of 0.39, but then unerring stability over 200mph is a serious issue. 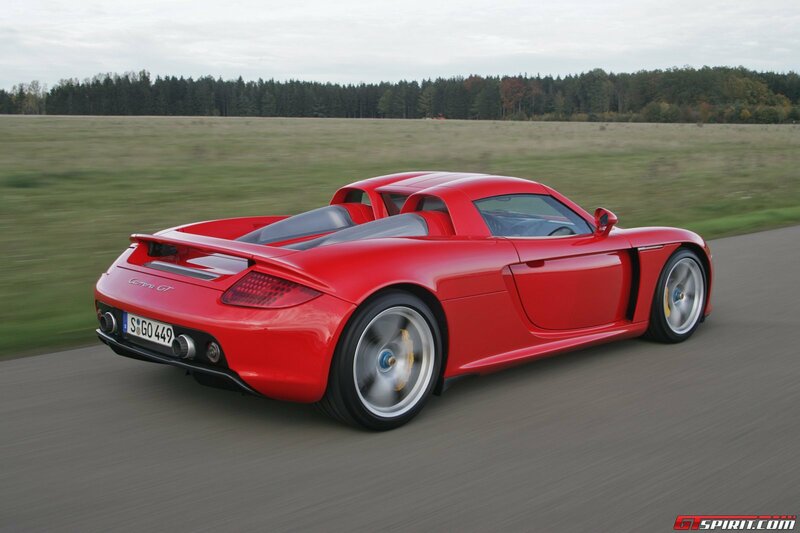 When I first speed tested the Carrera GT on the 3.2km long main runway of a former Russian airbase in East Berlin back in 2003, the data logger in my test car read 198.75mph. The car was still perceptibly accelerating when I passed the marker bollard indicating the safe braking distance that would prevent us shooting off the end of the runway. 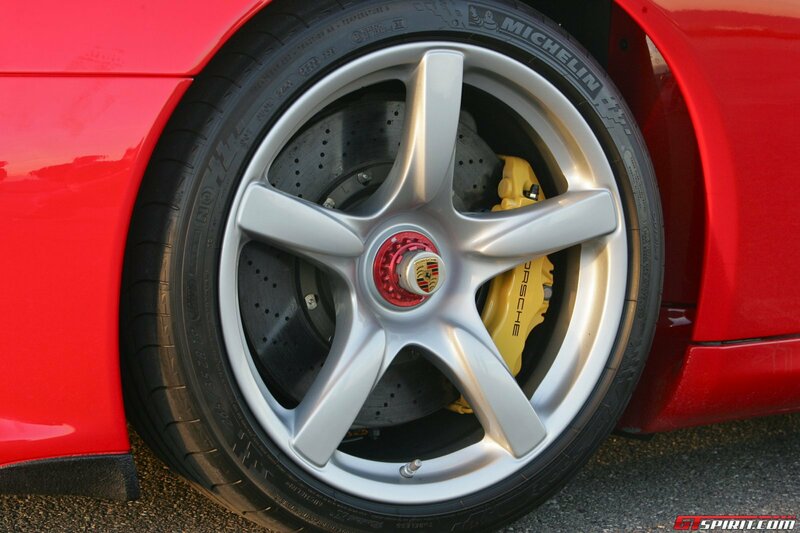 Braking is something the Carrera GT does exceptionally well too. The ten runs we did in each direction involved anchoring hard from near 200mph back to around 60mph at the end in each direction, and the massive ceramic brakes proved up to the task. This was a brake test that no Italian supercar of this era could have survived covered in glory. 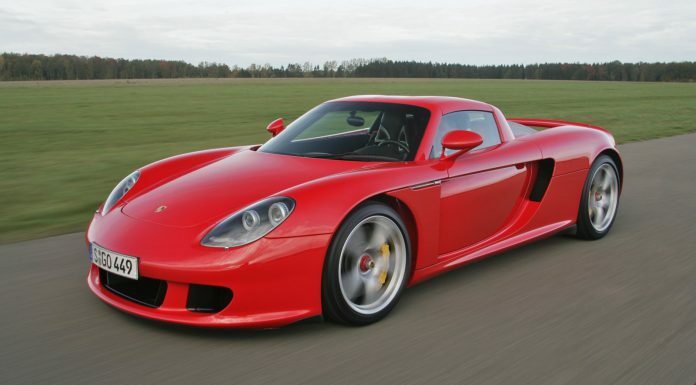 In limit handling terms, the Carrera GT reminds me of an F-16 jet fighter, in its need to be inherently slightly unstable to be as sharp witted as it is. And like the F-16, it uses electronics to reign in its excesses on the bald limit. Walter Rohrl gave me a check ride to show just how effective the electronics are. When we did one lap of the handling circuit with the PSM on and one with it off, even he had to muster every ounce of his not inconsiderable skill to keep things together without the electronic aids. 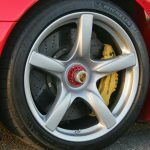 Porsche calibrated PSM to allow a fair degree of slip at the driven wheels before it jumps in to save you, and it was very obvious that the car was both faster and smoother through the course with PSM on. Walter was quick to praise the system, and told me that the car is faster with it on. He added that he always uses it on the Nurburgring where the sheer speed of this car leaves no margin for error. His 7 min 32 sec banzai lap there in an early Carrera GT on standard Michelin street tyres is indicative of the cars speed potential and handling prowess on the most demanding racetrack in the world. 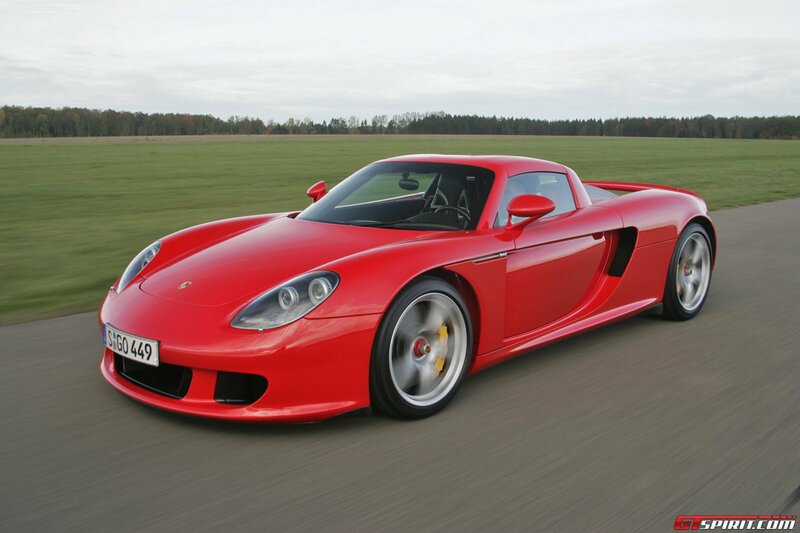 Even driving the Carrera GT at more normal speeds on public roads is still a tremendous treat. All its controls are relatively light and positive, with a synergy that only the best cars of any type exhibit. And yet, despite its eagerness to change direction, it never feels too pointy or nervous within sane speeds. The power steering is highly descriptive of the road surface yet does not kick back unnecessarily. It loads up in fast turns, but not as much as say the Porsche 959 or GT1. The gearshift is also a delight, with short and positive throws that require just fingertip effort to find the next ratio. 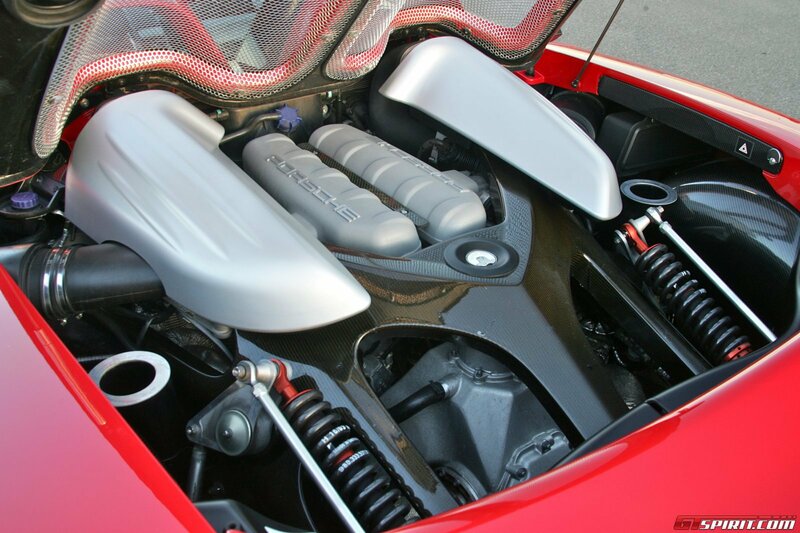 An equal part of that slickness comes from one of the most incredible engines ever to power a road car. 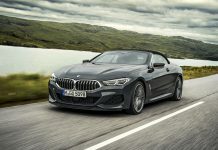 The normally aspirated V10 revs like a dynamo, its super-light flywheel and ceramic clutch endowing it with an alacrity that few normal street-legal motors can ever hope to match. Blip the throttle at idle and the revs rise and fall instantly. Apply throttle on the fly and the razor sharp throttle response, good inherent torque and the relatively low mass of this carbon-fibre supercar translate into instant forward motion. Amongst cutting edge speed machines, only the Ferrari Enzo, McLaren F1 and Pagani Zonda share the same electric response with instant noise behind your head. 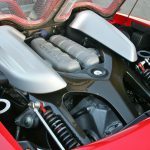 It is no surprise that they too are relatively light cars with big capacity, normally aspirated motors. The soundtrack that accompanies the V10’s lunge towards its redline in each gear redefines the term spine tingling. A sheet of silk being slowly ripped by a rapier, and amplified through a 1,000-watt pro sound system, is a rough approximation of the awesome and intoxicating sound that reaches your ears. 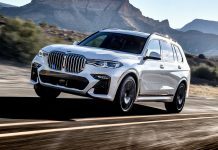 However, because of its lower volume and higher bass content, it is thankfully lacking in the pain-inducing frequencies and intensity of a V10-powered Formula One car. Some people approach supercar ownership with their hearts and others with their heads. I am the first to admit that I put as much weight on build quality, detail design and engineering purity objectively as I do on subjective styling appeal. If the pedals in a car are not properly arranged for heel and toe action, I will walk away. Thankfully, Porsche’s engineers are also drivers, and that is abundantly evident with this car. 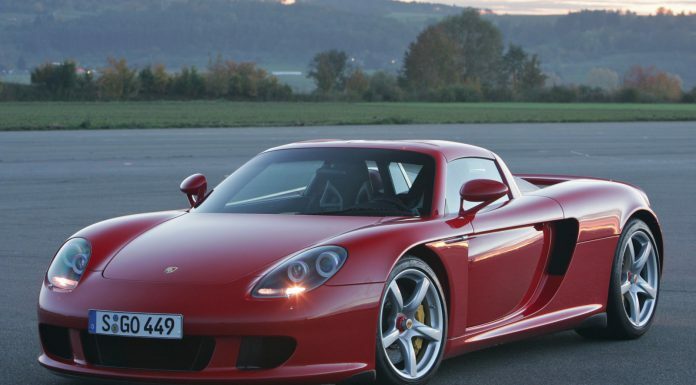 Like most open cars, the Carrera GT looks best with its roof panels off. But its build quality and fabulous detailing allow you to enjoy it in other ways, perhaps even as a safe haven to sit in when you need a few moments mental respite. 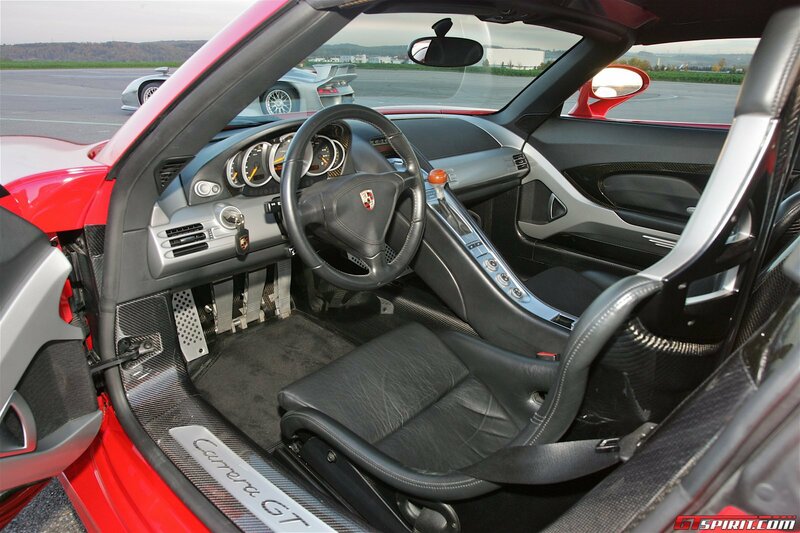 Driving is a large part of what the supercar experience is about, and the Carrera GT provokes a very strong positive emotional response from its driver. When you start its charismatic V10 and roll, you will always come back with a big grin on your face. 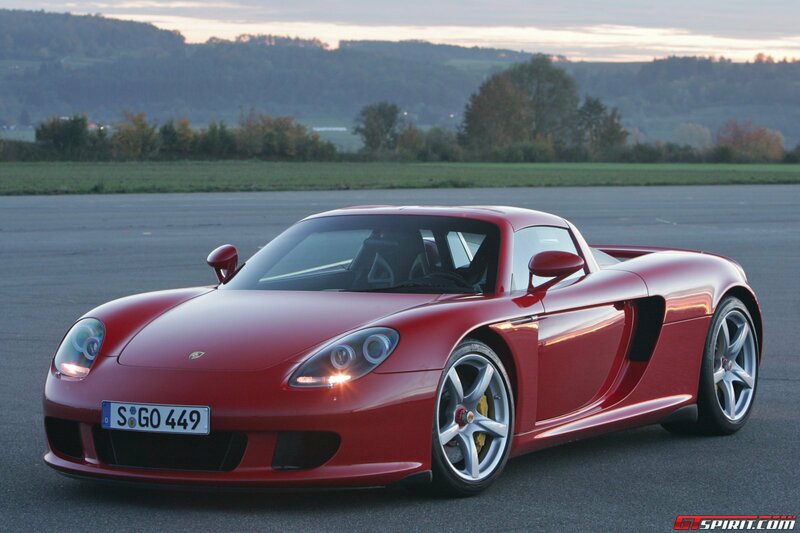 Overlaid by its simply amazing soundtrack, the Carrera GT is an inspirational driving machine that scores ten-out-of-ten in the rapture department. In my book, that makes it one of the best supercars of all time.